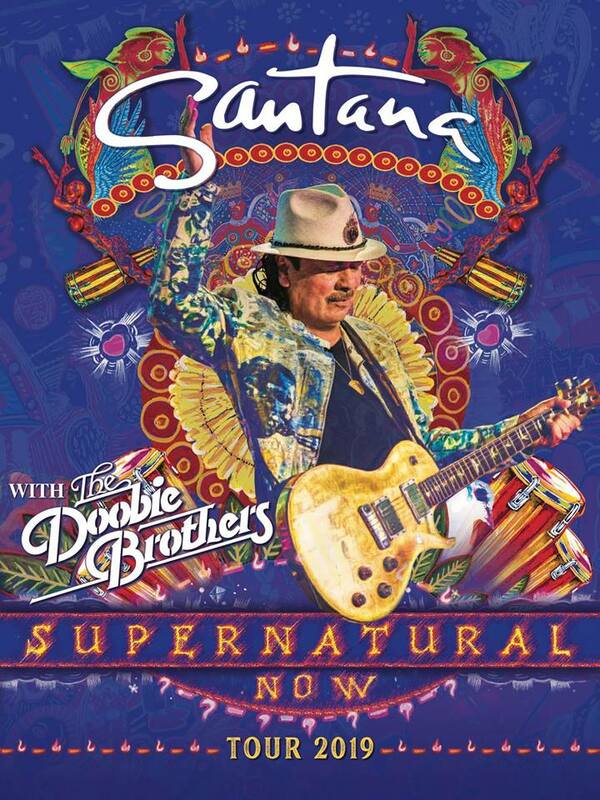 Carlos Santana and his band have announced dates for his Supernatural Now summer tour of North America. Joined by guests The Doobie Brothers, the three-month, 29-date celebration will commemorate two of the most important milestones in the iconic guitarist’s career: the 20th anniversary of his groundbreaking, multiple Grammy-winning album, “Supernatural”, and the 50th anniversary of his momentous performance at Woodstock. 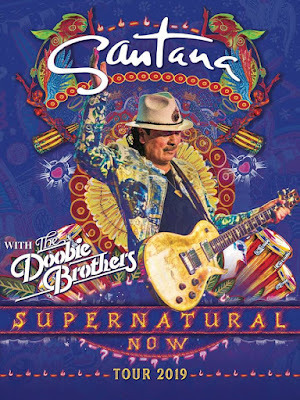 Santana’s 18th album, 1999’s “Supernatural” delivered two US No. 1 hits in ”Smooth” with Rob Thomas of Matchbox Twenty and “Maria Maria” with The Product G&B; the most commercially-successful record of the guitarist’s career won eight Grammy Awards on its way to US sales of 15 million and more than 30 million worldwide. Santana will open the summer series in Phoenix, AZ on June 22, with shows wrapping on August 25 at the Jones Beach Theater in Wantagh, NY. Tickets for the Supernatural Now tour will go on sale to the general public beginning Friday, January 25 via the usual outlets. Ahead of the full tour, Santana will launch his 2019 Las Vegas residency at the House Of Blues at the Mandalay Bay Resort and Casino starting January 23; the dates mark the guitarist’s seventh year at the intimate venue. In sync with the residency, Santana will release a new EP, “In Search Of Mona Lisa”, on January 25.